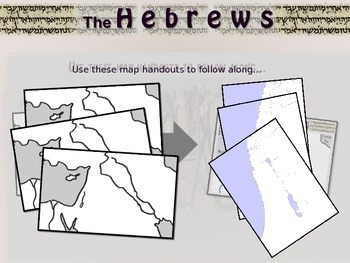 This download includes both the follow-along interactive PowerPoint AND the blank map handouts in PDF and MS WORD format. 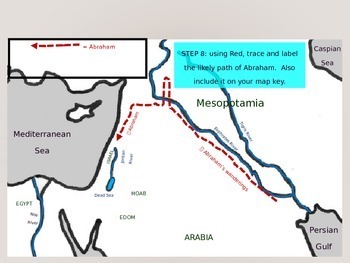 This activity allows students to turn a blank middle east map into an informational resource that labels geographic features (e.g. the Jordan River) and traces the journey of Abraham, Joseph, Moses, Joshua and more. 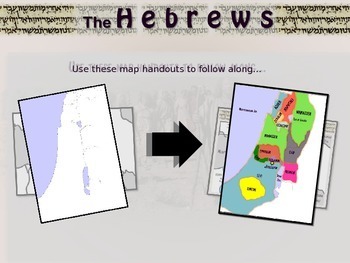 Students also turn a blank Israel map into the territories of the twelve tribes of Israel. 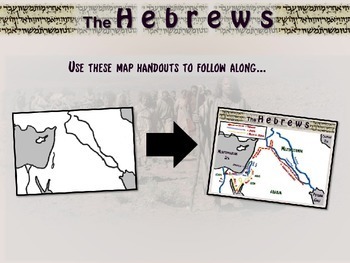 A perfect geography lesson for a unit on the Hebrews. Enjoy!